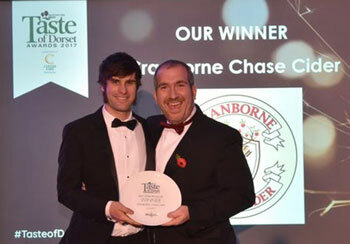 Bill Meaden, owner and Cidermaker at Cranborne Chase Cider has won the Best Cider Producer for the second year in a row at the recent Dorset Food and Drink awards held at the George Albert Hotel near Evershot. 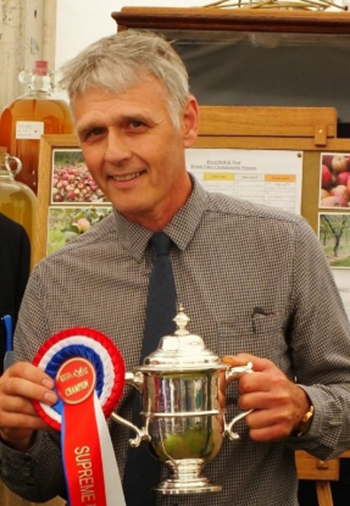 Nick Poole, of Powerstock, near Bridport, was awarded the Gold Medal Lifetime Achievement Award for Services to the Cider Industry at the Bath and West Gold Medal at the Royal Bath & West Show. 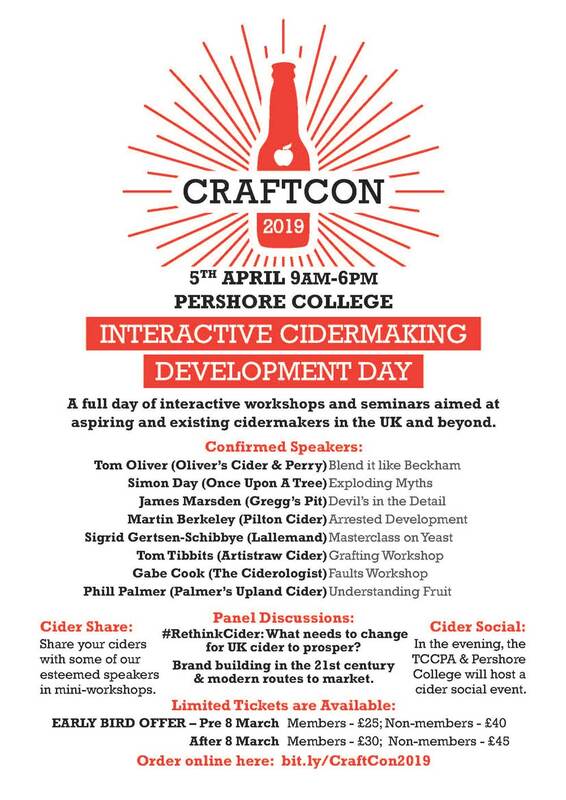 Nick's work in promoting traditonal cider in Dorset, and in running the renowned Powerstock Cider Festival was recognised by the prestigious annual award. Nick and his wife Dawn - who also deserves special recognition for her part in the festival organisation - ran the festival for 16 years and raised more than £43,000 for local charities in the process. Nick and Dawn also run West Milton Cider Company near Bridport, and their Keeved Cidre Bouche called Lancombe Rising also won Gold in its class and the top gong of Supreme British Champion Cider, receiving The Worshipful Company of Fruiterers’ Perpetual Cup. 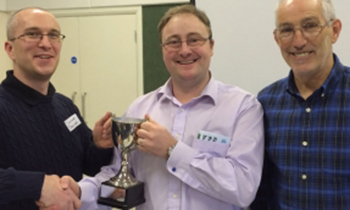 Swindon-based maker Circle Cider scooped the 2017 SWECA Cider Championship at the Winter meeting held at Cranbourne Chase on 16th March. The competition results came at the end of a busy meeting that also covered - among other things - plans for Royal Bath & West Show, an NACM update from Gabe Cook, pH Control by Andrew Lea, Gill Perkins from the Bumblebee Conservation Trust and Sue Tisdall offering help with Export issues.